Google's Daydream View VR headset was released last year alongside the Pixel phones. One of the headset's features is the removable facepad, which you can hand wash occasionally to keep the headset clean. 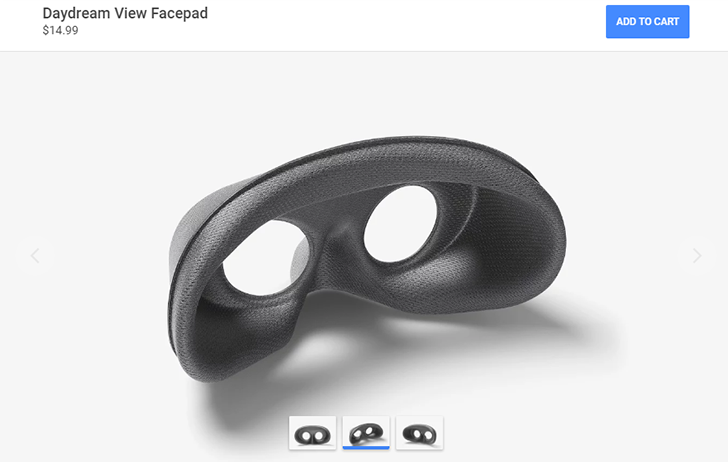 If something happens to the facepad, or maybe you just want a spare, Google is now selling them separately for $14.99. Only the gray facepad is available right now, so if you have a Crimson or Snow Daydream View, it won't match the original facepad color. Still, you won't actually see any of the facepad while using the headset, so I doubt many users will mind. You can buy one on the Google Store from the link below. If you purchase one, keep in mind that it is not machine-washable.